Levante S variants can sprint from 0-100km/h in 5.2 seconds while on the way to a top speed of 264km/h. Claimed fuel consumption on the combined cycle test is 10.9 litres per 100 kilometres, while carbon dioxide emissions have been tested at 253 grams per km. 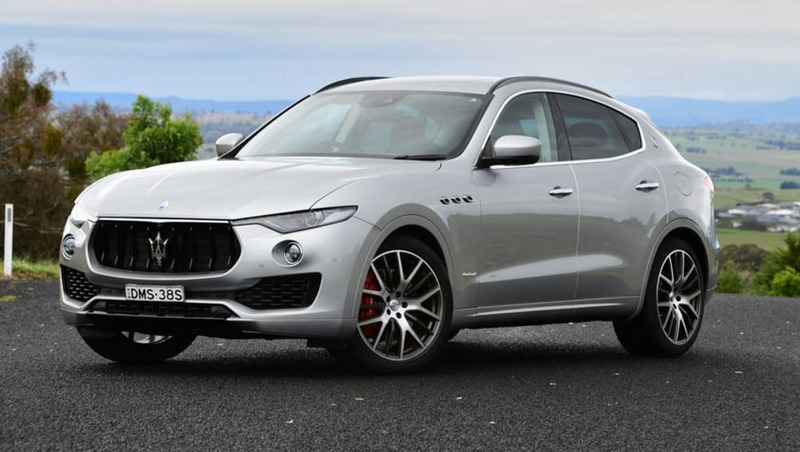 Maserati Australia introduced its updated Levante this week with the expanded large-SUV range now topped by an S grade that features a Ferrari-built, twin-turbocharged V6 engine. Providing a second powerplant option alongside the pre-existing turbo-diesel V6, the petrol model is available in three flavours – S ($169,990 before on-road costs), S GranSport ($179,990) and S GranLusso ($179,990). Motivated by a 3.0-litre unit that punches out 321kW of power at 5750rpm and 580Nm of torque from 1750rpm to 5000rpm, S variants can sprint from 0-100km/h in 5.2 seconds, while on the way to a top speed of 264km/h. Like all Levantes, this powertrain is paired with an eight-speed (torque-convertor) automatic transmission, a rear mechanical limited-slip differential, and Maserati's on-demand 'Q4' all-wheel drive system. Similarly, an aluminium double-wishbone front and five-link rear suspension set-up is employed, complemented by standard adjustable air springs and electronically controlled 'Skyhook' shock absorbers. Braking is handled by Brembo six-piston aluminium callipers and 380mm ventilated discs up front, while 42mm floating stoppers clamp down on 330x22mm rotors at the rear. Safety and driver assist technologies such as adaptive cruise control with stop and go function are offered once more. Meanwhile, the oil-burning variants are priced the same as before, with the Turbo Diesel opening the line-up at $139,990, while the $159,990 Turbo Diesel Sport and $159,990 Turbo Diesel Luxury have been replaced by the Turbo Diesel GranSport and Turbo Diesel GranLusso respectively. All new Levantes include electric power steering, which enables the no-cost option of lane keeping assist, highway assist, blind-spot assist monitoring and mitigation, and traffic sign recognition, while several features, like 360-degree cameras, that were previously optional are now standard. Safety and driver assist technologies such as adaptive cruise control with stop and go function, park assist, forward collision warning, auto emergency braking and lane departure warning are offered once more. Other standard equipment includes an 8.4-inch touchscreen powered by a 'MTC+' multimedia system, digital radio, three driving modes, an active exhaust system, LED daytime running lights, LED tail-lights, LED fog lights, power tailgate, dual-zone climate control, heated front seats, keyless entry and rain-sensing wipers. There are five new wheel designs to choose from. The GranSport grade adds a 'Black Piano' front grille, body-coloured rear sports spoiler, 12-way adjustable power sports seats, adjustable power sports steering wheel, red brake callipers, paddle shifters, brushed-steel sports pedals and a 900W, 14-speaker Harman Kardon sound system. 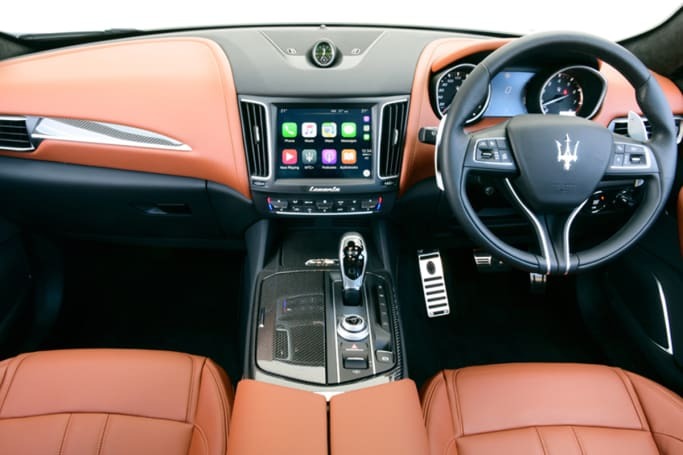 Alternatively, the GranLusso grades wear a chrome front grille, premium leather upholstery with Zegna silk inserts, black brake callipers, a 900W, 14-speaker Harman Kardon sound system, wood interior trim, 12-way adjustable power comfort seats, and a panoramic sunroof. The base variants roll on 19-inch alloy wheels, while the GranLusso and GranSport have 20- and 21-inch rims respectively. Nevertheless, there are five new wheel designs to choose from. In its first full-year on sale, the Levante has chalked up 407 sales to the end of November, helping to boost Maserati's overall volume to 691 units, up 50.2 per cent over its 460 registrations during the same period in 2016. However, the five-seat Levante still has some ground to make up against its main rival in the over-$70,000 large-SUV segment, with the Porsche Cayenne finding 1047 homes this year. 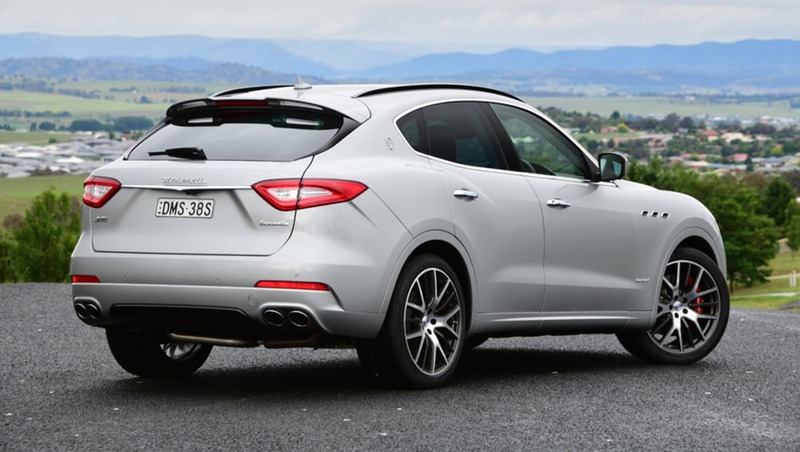 Does the addition of a Ferrari-built engine make the Maserati Levante more attractive? Tell us what you think in the comments below.